Blockchain, the much-hyped distributed ledger that underlies cybercurrencies like bitcoin, has become many things to many people. 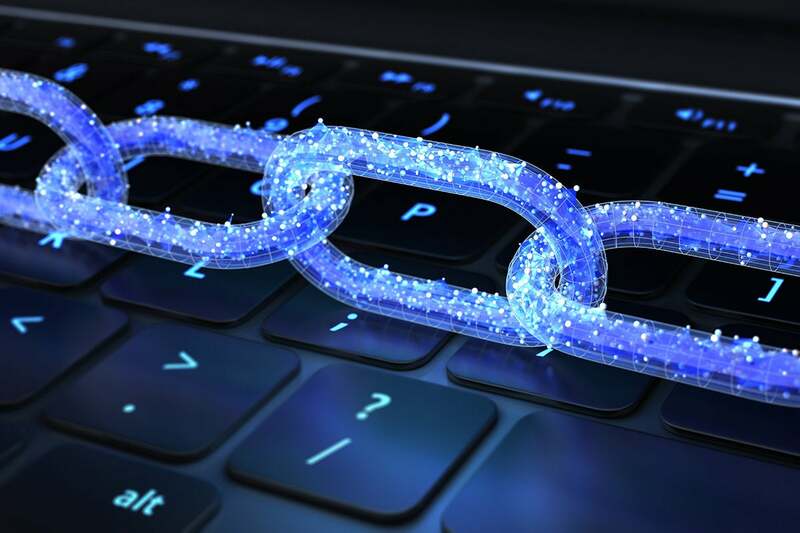 Many see the technology as a way to streamline banking and supply chain applications by offering a secure record of who did what when and for how much. Each entry to a deal, say when a widget was manufactured, shipped, arrived, how much money it brought in from whom, is logged, timestamped, verified and stored on multiple “blocks” distributed on the Internet. Now, some startups like Civil are pushing the use of blockchain—as well as a new form of cryptocurrency—as foundation for a business model for the publishing industry, that would help the creators of quality journalism turn an actual profit. CIOs of media companies should probably keep an eye on this. As a veteran reporter who has witnessed a long string of cutbacks, layoffs, and, in one case, outright vaporization of former employers over the past decade, I can tell you the need to find a viable business model for journalism is hugely important. Another startup, Unsplash, proposes to do something along the same lines for photography. It’s not too much of an exaggeration to say these parties see blockchain as something that could save journalism at a time when falling ad rates have afflicted the field. To a non-techie this all gets a bit hand-wavy at this point, but the gist is that part of blockchain’s appeal is its ability to distinguish between an actual person and a bot and even ascertain that this person looks at high-quality content vs. click bait, according to James Tabor, CEO of MEDIA Protocol Ltd., a London company pushing the use of blockchain by media companies. “You can use blockchain to deem a party to be a person based on some action—perhaps just moving a mouse or perhaps that plus being signed in via a social network like Facebook or Twitter,” he said. That would be valuable to media companies (and advertisers) who want real metrics about who (versus what) is viewing their content. Blockchain can also foster a community of high-quality consumers. One way this would work is, for instance, if I were to send you a URL to a story, and you liked and shared it, I would get credit (or a token) that could be “spent” on another high-quality piece of content. Civil intends to become a marketplace for content with “tokens” accruing to content creators. Frank Xiong, group vice president of blockchain for Oracle, says such a scenario is not far out of reach. Publishers could emulate what some have already done in the financial services world with invoice factoring. In this world, if a contractor agrees to do a project for, say, $100 within three months, but doesn’t want to wait till the end of that term, he or she could sell the invoice to a third party in order to get the cash immediately. Blockchain can track all the complexities of that three- or four-way deal so that the contractor can collect whatever portion of the invoice negotiated now, and the buyer of the invoice gets the full $100 at the end of the three-month term. Invoice factoring could easily be applied to journalism. And, in addition, blockchain can verify that the journalist (or newspaper) holds the copyright for a given article. Blockchain could also show infringement if someone not on the blockchain were to republish the same piece without permission, Xiong says. A huge part of the problem for media companies is that the fat print ad margins that fueled pre-Internet publications ranging from local newspapers to glossy lifestyle monthlies have evaporated. Craigslist is often cited for killing the cash-cow classified ad business that used to finance newspapers, for example. Companies still advertise online, but those ads are relatively cheap compared to their print forbears. Adding insult to injury from a content provider’s point of view is that aggregation of third-party content by Facebook and Google means that those two tech giants vacuum up most of the ad money there is. Tracking firm WARC estimated that 63.8 percent of worldwide ad dollars flowed to the “Google Facebook duopoly” last year, up from 57.5 percent in 2015, and 47.1 percent the previous year. And, those tech behemoths funnel only a small portion of that money back to the original publishers. Ray Wang, founder and principal analyst for Constellation Research, says blockchain technology is probably overkill for this application. The thing is, he adds, people have to pay for blockchain services and expertise and that might be hard for already cash-strapped journalists and publishers. Civil, in theory, could make this easier for individual contributors. But, generally, Wang does see soaring interest in blockchain from corporate clients and even consumers who are starting to want more than store discounts in return for the personal data collected via loyalty cards. Blockchain could ensure that an individual is reimbursed for a store’s aggregation and use of her data, Wang said. Though still young, it seems that blockchain is finding applications across a wide swath of industries. Not all will hit their marks, but it’s clear already that the impact of blockchain will go well beyond the cryptocurrencies it was originally developed to support.